​I am Jacquie and I live in Nottinghamshire with my husband Stan, Monty (our Golden Retriever) and Timmy (our black poodle). We live near Sherwood Forest - next door to Robin Hood .... you might know of him! 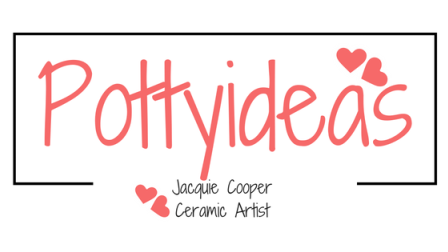 I am a ceramicist and digital artist - I love both! The decision I have to make each day is - clean hands or dirty hands - and then my day is set! So If I am not in my pottery studio then I am at my computer pulling together designs for my digital download cards. My work is all to my own design. My endeavour is to please and to provide you with an excellent product.